It’s that time of year again. The leaves are changing color, the air is crisper, and the new iPhones are almost here. If you’re a crazy upgrader like I am, that means it’s time to get ready to sell your old iPhone. You should try to unlock your old iPhone. Unlocking allows the phone to be used by different cellular carriers by changing SIM cards. It makes the phone more valuable as a result. Outside the US, phone locking isn’t even legal. And the fact that a US carrier can keep a phone locked after you have paid off the contract for the phone and sold it to someone else makes no sense. Unfortunately, it’s up to you the consumer to know that unlocking is even a thing. You need to fill out all the info, get an email, then click on a link. 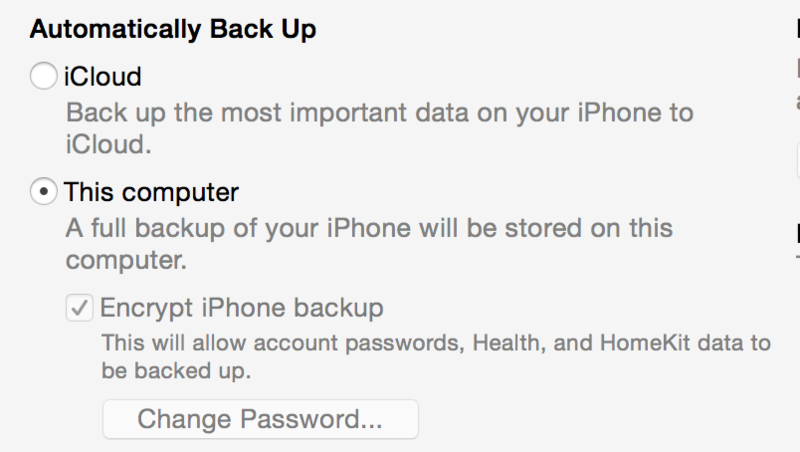 Oddly, you then are instructed to backup your phone to iTunes and then perform a restore. All the steps take hours if you have a lot of data. And you’ll need to re-setup Apple Pay if you have cards on that. 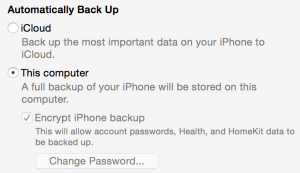 When you get your new phone, you can restore from your iCloud backup or from your computer’s iTunes backup. I always use the iTunes backup because it will backup more information if you have it encrypting your backup (see image below from iTunes). It will back up your passwords, Health, and HomeKit data. I suggest backing up to iTunes prior to getting the new iPhone since this takes a while. Before you sell your iPhone to someone, you also need to turn off Find My iPhone. This allows someone else to use the phone. Finally, before you sell your old phone, reset it by going to Settings – General – Reset – Erase All Content and Settings. This will put the phone back in startup mode.